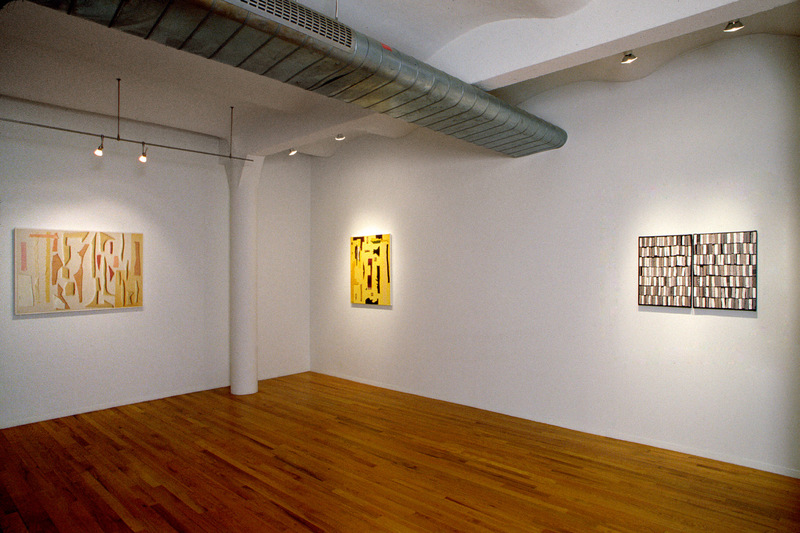 Installation view of Gwenn Thomas: Recent Work at Art Projects International, New York, 2002. 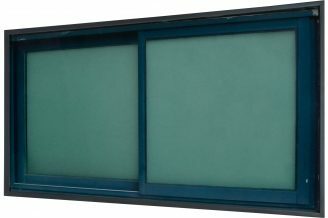 Gwenn Thomas, AB: 50/A Story of a Shadow (diptych), 2002, pigment print on canvas, 21 1/2 x 18 inches (54.6 x 45.7 cm), each panel. 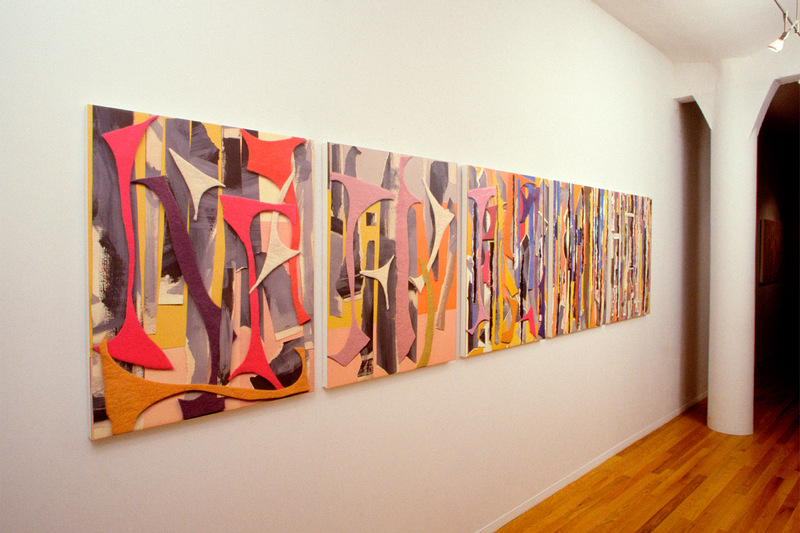 Installation view of Gwenn Thomas’ Abstract 23-27 (1998-1999) in Gwenn Thomas: Recent Work at Art Projects International, New York, 2002. Gwenn Thomas’ pigment and iris prints on canvas depict elegantly composed harmonies of hue and form. In the triptych AB:47/Untitled (2001) a bright yellow paper ground shows off a composition featuring a few pieces of cardboard, cut shapes of purple felt, broadly woven golden mat and other materials. These works whisper and as we lean forward to listen it is easy to miss that these well spoken cyborgs have lured us deep into the realm of the digital, leaving the surface calm and quiet. 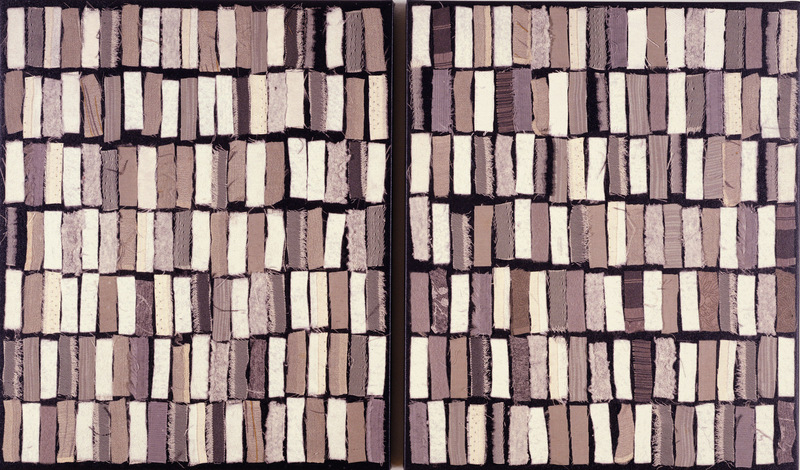 The five works of the series comprising Abstract 23-27 (1998-1999), an investigation of a Lee Krasner work, are prints made from digital scans of dense, softly colored collages of numerous, vertically orientated, shaped strips of cloth and paper and, in addition, pieces cut from Thomas’ own paintings. For Thomas the final prints, with their subtle differences from their sources in size, hue, clarity and surface feel, are the end product of a process beginning with the collages. Shadows captured digitally by scans or photographs create tromp l’oeil effects, but even when a close look shows a fuzzy bit of white velvet and a curling piece of pink paper to the strictly a two dimensional print on canvas it is the prints’ refined compositions and color balances that first come to the fore. In addition, the harmonious formal aspects of the works lead the viewer first to considering their status as progressive experiments in the digital. And by creating works which depict manufactured surfaces that look similar in reproduction to their original form, and are effectively illusionistic in scale and their representation of shallow three dimensional space, Thomas is able to fully explore the visual nuances created by using 21st century technology to mimic photography and painting and translate a collage into a print on canvas. Thomas’ prints will never be confused with a screen capture of a video came, but just enough of the process remains – perhaps in the weave of rough cloth disappearing into a pixilated highlight – to remind us that her art is as much about the pervasiveness of the electronic media of our times (and the futures this proliferation implies) as it is about beauty. Born in Rhode Island, Gwenn Thomas studied at the Sorbonne and the Cooper Union School of Art. She lives and works in New York City.